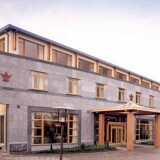 The hotel was built on a green field corner site right on the edge of Tullamore town. It accommodates 72 bedrooms on 3 floors over ground floor public areas. The brief required unusually large functions/ banqueting accommodation and consequently the provision of a separate entrance foyer, toilets, etc. 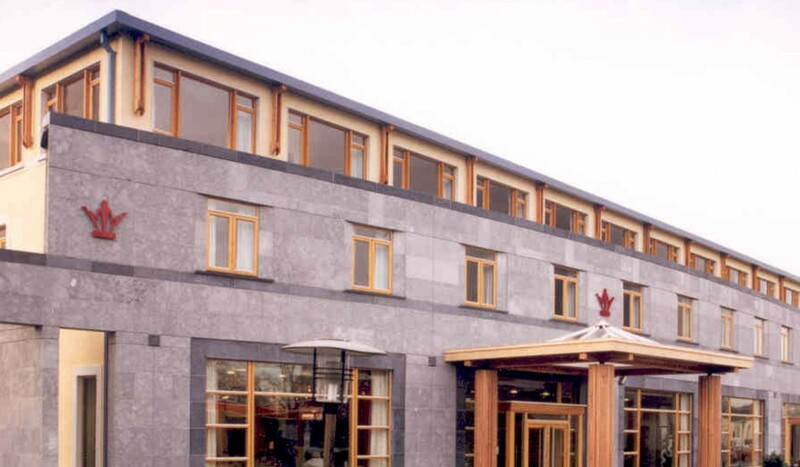 It also required a leisure centre including a 25m swimming pool with its own entrance, foyer etc. The plan evolved as a number of elements grouped around a central landscaped courtyard. It is a largely painted rendered building with a curved limestone element to the front elevation facing the main road.